The baseball Free Agent spending economy looks healthy again with the Tigers recent signings and this ludicrous 3 year / 21 million dollar contract from the Dodgers for Juan Uribe. I knew Uribe was making millions with every homerun this October, but this is ridiculous. Derek Jeter is still 99.999998% certain to remain a Yankee, but it would be absolutely spectacular to see some lunatic owner on another team make him a $100 million offer and see how the Steinbrenner's responded. I'm beginning to think that Jarrod Saltalamacchia may have deserved a spot in our study of best player's in their prime. When looking at the bottom of that Top 100 list, maybe Salty could have slid in ahead of the Mets' Chris Carter, or even Lastings Milledge. He probably stinks. Tsuyoshi Nishioka likely signing with the Twins suggests that Orlando Hudson will be wearing a new uniform next season. Where might that be? If I were the O-dog, I'd be thinking about moving to La Jolla and playing for the Padres. The Cubs are rumored to be seriously considering Brandon Webb. In years past, I may have liked this move. I appluaded their Rich Harden anquisition and would hope they'd sign free agents like Ben Sheets and Kelvim Escobar. A Brandon Webb acquisition feels misguided to my sensibilities. With his almost certain imjury problems, the Cubs would be better off using that money in a variety of different ways. The aforementioned Juan Uribe deal to the Dodgers also means that Ryan Theriot will likely become a free agent. Some people are joking that he could replace Jeter in New York, but it's simply more likely that he gets thrown into that hodgepodge of middle infield free agents with something to offer, but not enough to make any General Manager swoon. As we learned on MLBtraderumors early this morning, Lance Berkman has heard from the Cubs, Athletics, Pirates, Cardinals, Blue Jays, and Rockies for their 1st base or DH roles. I'm rooting for the Cubs to give him a nice 1-year deal, where he may restore his value before another run at free agency next year, and the Cubs keep their options open to acquire someone else for 2012 and beyond. Perhaps the offer could include a handsome 2012 option that vests with certain performance bonuses. 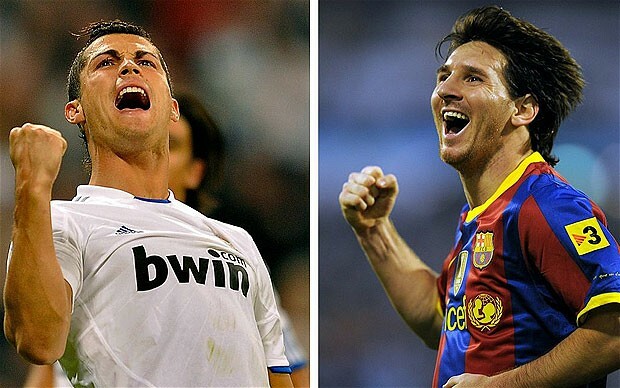 In European soccer news from La Liga, it's time for Real Madrid @ FC Barcelona. Brandon Webb would be a great deal for the Cubs since he would be very cheap as I heard the deal would be minimal down and the bulk in incentives. If the Cubs sign Berkman, we should protest. I would have rather kept Hoffpauir.